Were children separated from their parents when they were caught on the Mexican border by US officials as illegal immigrants before Trump's introduction of zero tolerance immigration policy? I wasn't able to find other source of that information than the reactions to the removed tweet of one of the former members of the administration. Probably less of them than under Trump but there were kids in cages and kids separated from their families under Obama. "Immigrant girls sleep in a cell, Jun. 18, 2014." Update, June 18: Since this story was published, new photos have been released by the US Customs and Border Protection, revealing current detainment conditions for immigrants apprehended at the border. The current conditions closely resemble the Obama-era “cages” depicted in photos from 2014. 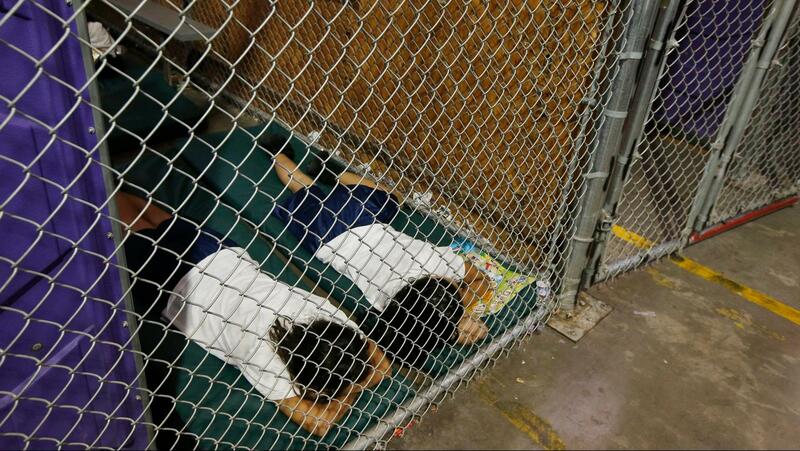 In both cases, children are shown separated from their families, sleeping on the floor within steel-wire enclosures. 33,000 complaints between 2010 and 2016 alleging a wide range of abuses in immigration detention. In 2014, the Mexican American Legal Defense and Educational Fund filed a complaint reporting widespread allegations of sexual harassment at the Karnes County Residential Center, also in Texas, where more than 500 women were detained with their children. In 2014, amid an influx of asylum seekers from Central America, the administration established large family detention centers to hold parents and children — potentially indefinitely — as a means of deterring other asylees. To address a point that came up in the comments. So 14% of immigrants arrested by Immigration and Customs Enforcement under Obama didn't have a criminal record other than that related to immigrating illegally. Yes, children were held in cages. No, this did not happen if their parents were merely illegal immigrants. Obama-era policy was that illegal immigrants with children would only be prosecuted (and hence separated from their children) if they had committed some other crime, such as bringing in illegal drugs. They were not separated if they were caught as illegal immigrants. Trump has now turned this into a "zero tolerance" policy in which any crime, including illegal immigration, is prosecuted, leading to families being broken up merely for crossing the border. This also applies to families seeking asylum: people who appear at the legal crossing points and ask for asylum are turned away, and thus denied their right to asylum. However if they cross into the US illegally, find a border officer, and request asylum, they are deemed to have entered illegally and prosecuted. Stripping the polarizing, partisanship away: Yes it is well documented in photos, ICE documents, and statements by Obama officials that the Obama administration did indeed practice the same detainment techniques as the Trump administration- which is all the original poster asked.